Do you have swollen feet and ankles? Are aches and pains in your lower leg holding you back? It could be caused by poor circulation. REVITIVE Medic helps you keep active so you can keep doing the things you love. 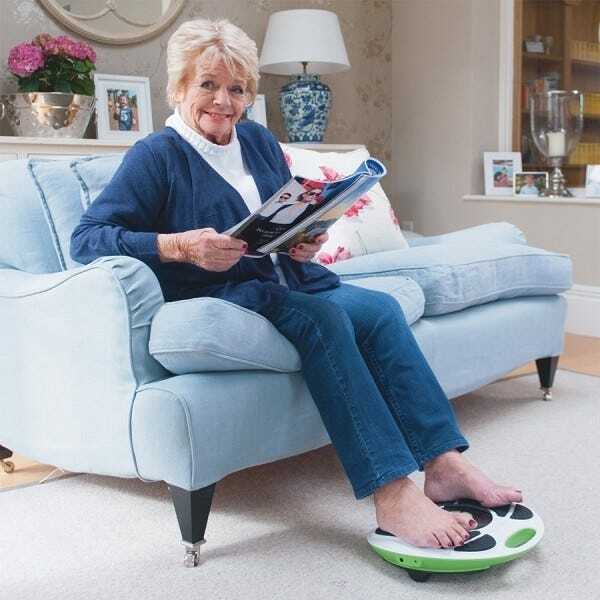 It uses clinically proven Electrical Muscle Stimulation (EMS) to stimulate the calf muscles. Clinical studies have shown that EMS improves blood flow, thus boosting circulation. The medical benefits of this include increased flexibility and reduced fluid build-up, helping to alleviate conditions such as swollen ankles or feet. The REVITIVE Medic is safe, relaxing and easy to operate. You can use it while you watch TV or read a book. It has a remote control and is cordless and rechargeable so you can take it anywhere. With 99 intensity levels, you can adapt it to meet a range of circulation needs.